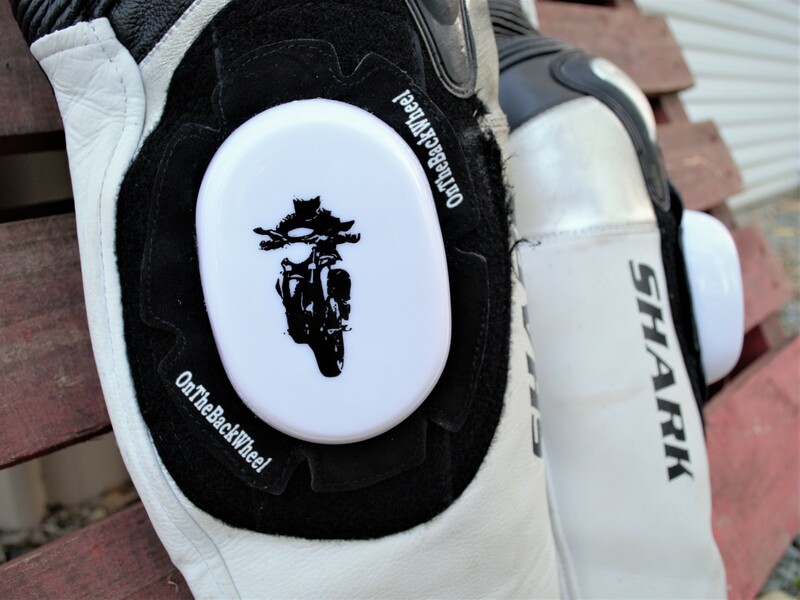 That’s right, OnTheBackWheel knee sliders. After much thought I have decided to branch out and enter the retail world. Why am I selling knee sliders? While I love high quality gear, their prices can be outrageous. If you have been reading my blog, you have probably noticed that while I own an Aprilia, I have a budget in mind for most of my purchases. Now budget does not mean low quality. Nearly all my gear I research and buy the best equipment for the price. And the same can be said about my knee sliders. They are certainly priced in the budget end of the market, but they are no means poor quality. The sliders are made from high quality polyethylene that will last, even if you are hard on sliders like me. The sliders are available in various colour combinations. The introductory price is $34.99 AUD including free postage. Unfortunately I will only be posting within Australia at this stage. If you were looking to purchase some sliders, visit my Ebay page or message me directly through the website or social media. Keep it OnTheBackWheel people and get that knee down!